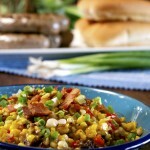 Confetti Maple Bacon Sweet Corn - What the "Forks" for Dinner? Sweet corn season is almost past, and I would be remiss if I did not pay tribute to the glory those beautiful golden ears are! 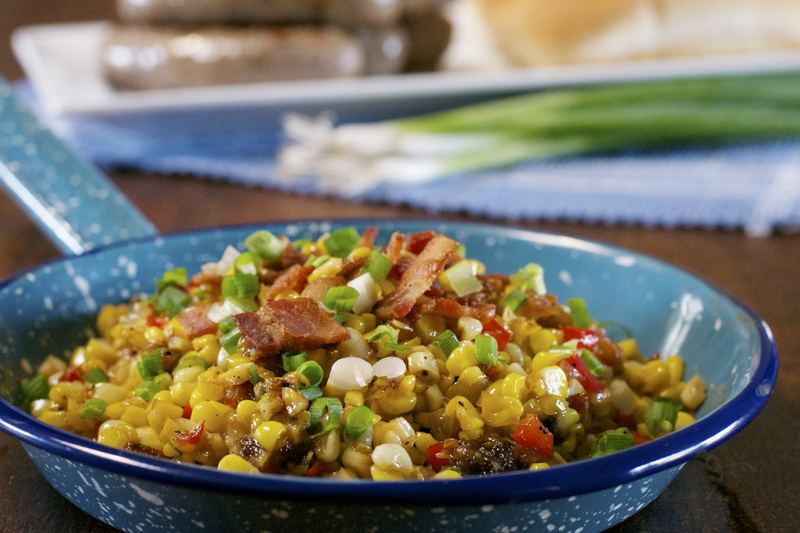 Confetti Maple Bacon Sweet Corn……even the name is yummy sounding! Living in the Midwest ……….corn belt………we have the best sweet corn! 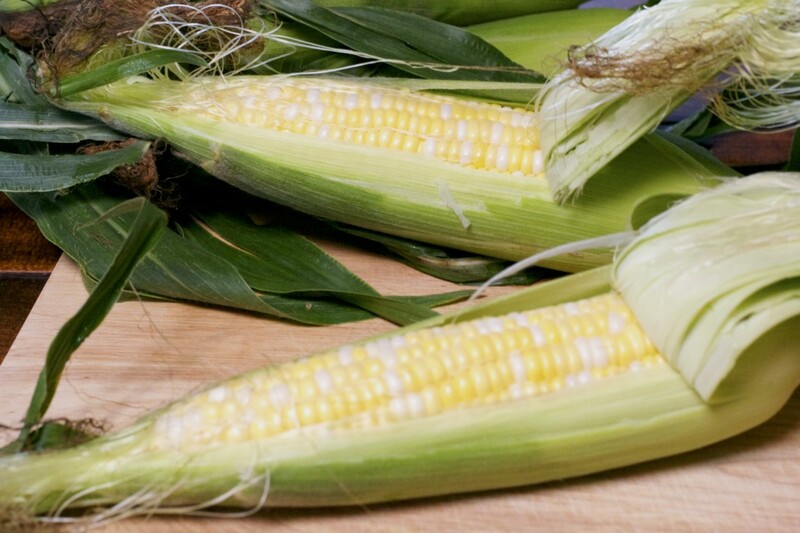 Sweet juicy,delicious, bi colored nuggets of pure bliss…….did I mention we love sweet corn. Every area in the Midwest has that one grower that everyone flocks to when corn season is here. There are several in our area, although my Uncle Russ has always grown the best sweet corn, but I may be biased………not! Everyone waits patiently for those growers to harvest that first crop. Some things are a natural with corn……….bacon, green onions, red peppers, and butter. Well this recipe has all of those and a few special touches. I added just a bit of maple syrup……not the pancake, Aunt jemima kind, but the real maple syrup. I normally add a bit of sugar to caramelize something I sauté, but adding the syrup was just the right touch for sautéing and for flavor. I also added a touch of brandy…….just a smig of liquor will deglaze a pan and get an additional depth of flavor. We had this as a side dish to bratwurst and it was perfect, but any thing from the grill would be great. Add bacon to a medium skillet over medium heat. Cook until crispy then remove to a paper towel-lined plate to drain and set aside. Remove all but a teaspoon of bacon grease from skillet. Add butter to bacon grease in skillet, swirl until melted. Stir in sweet corn, sweet onion, red pepper,brandy, maple syrup, salt, and pepper then turn the heat up slightly and toss to combine. 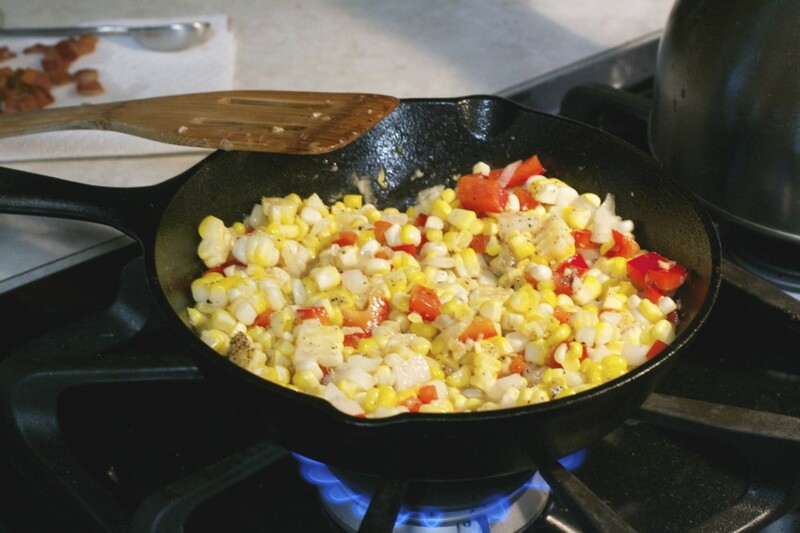 Sauté for 7-8 minutes or until corn is tender and caramelized, stirring every so often. Add bacon back in then taste and adjust salt and pepper if necessary. Garnish with green onions. 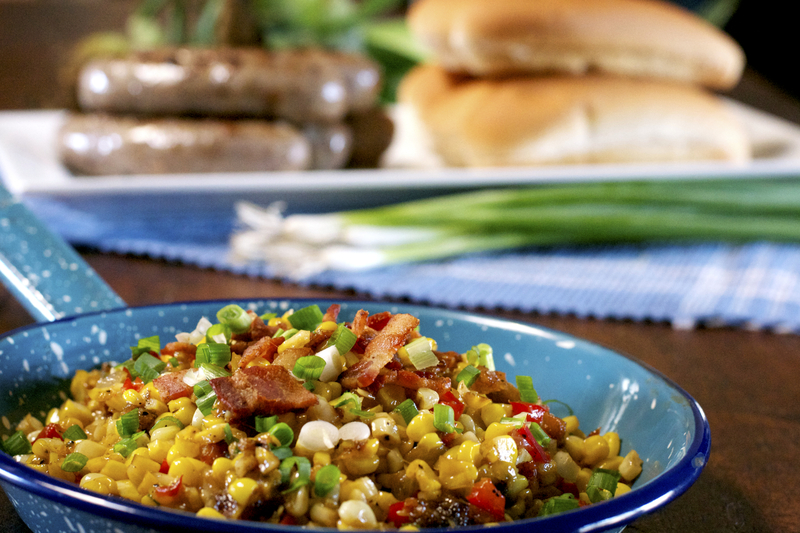 All of the ingredients come together to make this a tasty tribute to the glory of sweet corn!